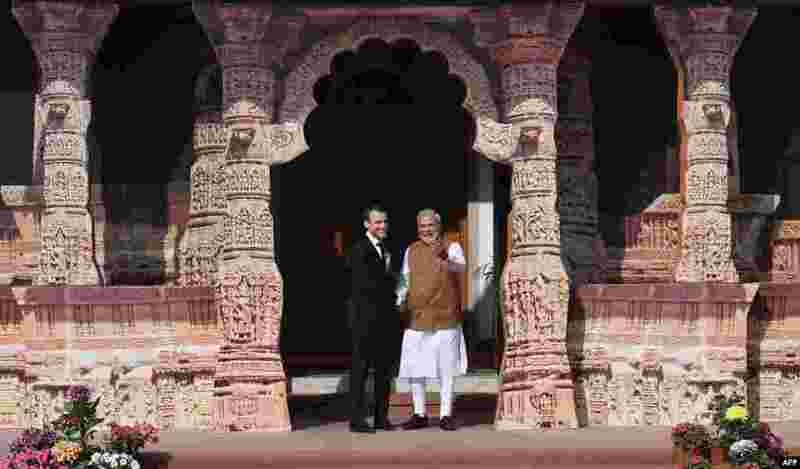 1 Indian Prime Minister Narendra Modi (R) welcomes French President Emmanuel Macron to the founding conference of the International Solar Alliance in New Delhi. 2 Tourists watch the Perito Moreno Glacier at Los Glaciares National Park near El Calafate in the Argentine province of Santa Cruz, March 10, 2018. 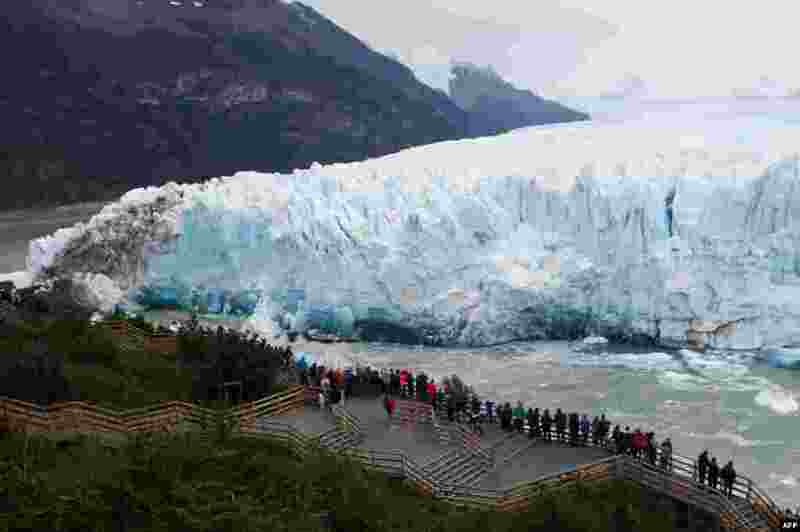 An arch of ice formed at the tip of the Perito Moreno, between the glacier and the shore of Argentino lake, started collapsing into the water. 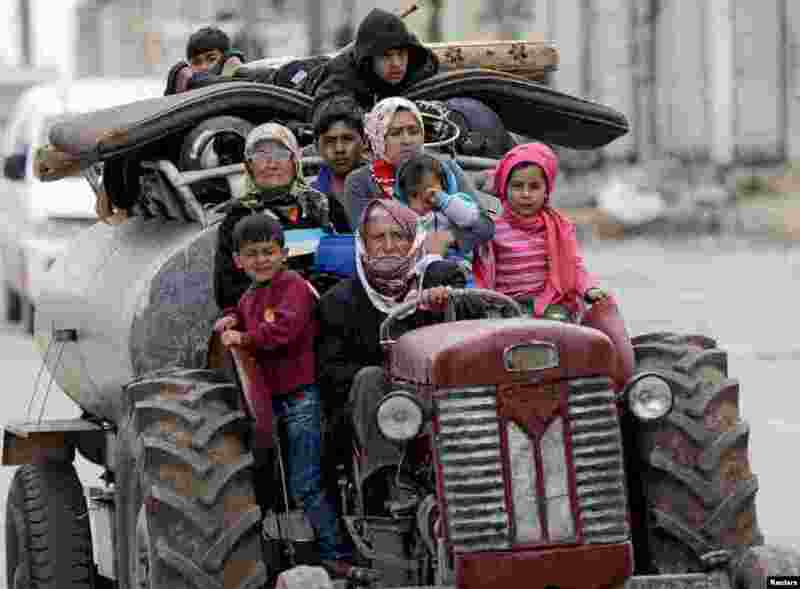 3 People flee after Turkish-backed Free Syrian Army fighters captured Khaldieh village in eastern Afrin, Syria, March 10, 2018. 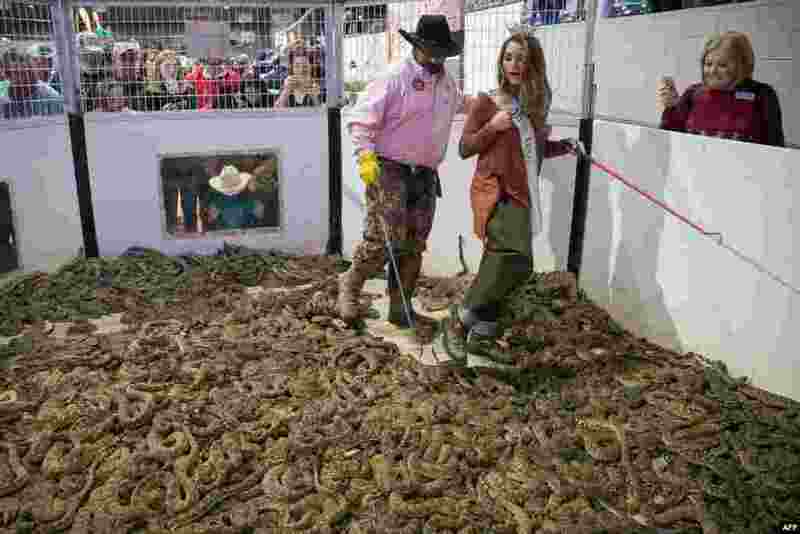 4 Travis Gardner assists "Miss Texas" Margana Wood as she makes her way through a pit of rattlesnakes during the Sweetwater Rattlesnake Roundup at Nolan County Coliseum in Sweetwater, Texas, March 10, 2018.